Since the Ancient Era, the Kaguya clan has always been one of the premiere clans native to Mizu no Kuni and its hidden village, Kirigakure in despite of their bloodthirsty, warmongering nature. It was this very nature that eventually led the clan, under the rule of a particularly insane patriarch, to what many believed their extinction. Never more than barbarians with a knack for battle, it was only a matter of time before the Kaguya clan turned on the forces of Kirigakure. However, their lack of strategy, simplistic and brutal method of attack, and overall their inferior numbers resulted in nothing short of a massacre of the entire clan. For nearly a hundred years, the entire world was led to believe that the Kaguya were extinct, and their powerful Kekkei Genkai, the Shikotsumyaku (Dead Bone Pulse), was lost to the sands of time. It wasn't until recently (within the last century) that the lands of Mizu no Kuni have seen an emergence of the fabled Kaguya clan. While there are many mysteries surrounding their reestablishment in the known world (such as how they escape such a horrendous fate), it appears that this newer generation of the clan prefer to present themselves in a far more civilized manner than their ancestors. Though the thirst for blood still remains embedded in their veins, they don't allow it to control them -- or, at least, the majority of them don't. 1. The Kaguya clan is a Taijutsu Primary clan. Although basic, this jutsu is the commencement of the Kaguya’s bone manipulation to a hardness that will serve them for their own greater good. Once sensing they are losing by balance by extreme measures, such as strong wind currents or even blasts of energy, they will allow their bones to pierce their feet and into the ground, branching off underground in a form of hyper-growth based on the rooting of strong tree. From this point they shall remain until they choose to move on. Using the power their blood has granted them, the Kaguya can cause their knuckles to push forward, outward from the hand and sharpening, working as a kind of claw-like weapon. This can also be done from the fingertips, allowing the bones within the finger to extend outward as opposed to the knuckle. These are excellent for quick, slashing attacks. Note: The bone claws may grow up to a maximum of twelve inches. The primary attribute of the Kaguya clan’s bones is that they are seemingly indestructible. They have been shown to be able to withstand severe amounts of pressure (sand burial and giant sand burial), as well as immunity to splitting beneath lacerations of any traditional caliber. This is the true gift of the Kaguya clan, allowing them to use themselves as both a shield and a weapon. For a taijutsu-specialized clan, there is no greater achievement. Note: This technique was created solely for the sake of limitations. While the Kaguya clan do possess stronger than natural bones, it is this technique that must be employed to allow them to withstand truly unnatural levels of force (such as sand burial). This technique can be employed at any time, presuming the user has the chakra to facilitate it. However, it should be noted that truly devastating abilities (things like Kirin) will still cause unparalleled damage to the user. One of the only long-ranged techniques in the Kaguya’s arsenal, this allows them to “reach” their opponent even if not with their own hand. Through intense control of their body’s muscle and skeletal system, the muscles in the Kaguya’s fingertips begin to contract, pushing the bone in the fingertip out through the surface of the skin. At the users will, the bones will fire off as drilling bullets. 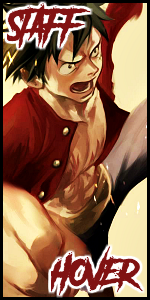 These bones are powerful tools, capable of drilling through most standard defenses. Note: The chakra cost applies to firing all ten bullets (one for each finger). However, even if a user decides to shoot only one bullet from a single finger, the cost does not lessen. Tsubaki no Mai is the second of five dance forms. Using the Kaguya’s corpsebone ability to manipulate their bone structure, the user will remove a long bone in the form of a sword from their shoulder. Because of the bloodline, the density of the bone can be increased many times so that it is as hard as steel. The user then stabs chaotically and continuously which causes the opponent’s eyes to lag behind; the speed resembles afterimages, the hand with the sword is again and again visibly projected. And yet the movement is irregular which makes it difficult to predict (for a normal eye, and beginning and secondary Sharingan). With each thrust the sword’s track is very capable of changing; the attack comes from unexpected angles, causing a person’s delicate defense reaction to come off guard. Note: The sword in question cannot exceed a claymore in size. Furthermore, it should be noted that despite being as hard and durable as steel, this bone is virtually weightless. The first of the five Kaguya dances. Using the abilities of their bloodline, the user will grow and multiple long, sharp bones from various parts of their body (one through each palm; one out of each elbow; one out of each knee, arching up; one from the back at the shoulder blades). These staves extend up to moderate lengths (one foot) and are razor sharp. Using fluid and precise movements, they will then proceed to impale their opponents much like an unpredictable, shaking willow tree. Karamatsu no Mai is the third of five dance forms. After activating their special chakra that allows them free-flowing bone manipulation, the Kaguya will begin to extend multiple bones from their body, protruding almost instantly from their flesh and out their rib cage, radius and ulna. Because they are hard as steel, these bones can act as a strong defensive mechanism against incoming strikes. Due to this they will also serve as an offensive attack to allow the Kaguya to move with little effort to impale their opponents. Note: This technique essentially allows the user to cover a very large portion of their body in foot long pikes of hard-as-steel bone. This not only allows the user to effectively defend themselves more easily, but attack as well. The fourth dance of the Kaguya style, Tessenka no Ma is separated into two separate parts: the Vine and the Flower. Both are used in conjunction with each other for optimal effectiveness against an opponent, because as how one is virtually useless without the other. The vine portion of the technique involves the Kaguya user removing their spinal cord, a process which drastically increases its length as they do so (up to five meters long) in an effort to use as an incredibly potent whip. The second half, known as the flower, involves condensing a very large portion of bone with a very high amount of chakra, and then enveloping one of the user’s arm in this sheath-of-a-pike-like weapon. Due to its size, and the sheer amount of power put into creating it, the “flower” is harder than any steel and can easily pierce even the most impressive barriers. Note: In order for the user to effectively use this technique, they will need to offer an increment of 2x High to in order to produce both the “vine” and “flower” aspect of the jutsu. By offering just a single High, they user will be able to choose which portion of the technique they wish to manifest; they can, at any time this technique is active, bring forth the other half (though it will still cost them the chakra requirement). The moment that a user refuses to fuel the drain of this technique, the bone used to facilitate it will instantly shatter into harmless fragments. This technique can only be performed once per thread. Sawarabi no Mai is the fifth and final dance of the Kaguya style. 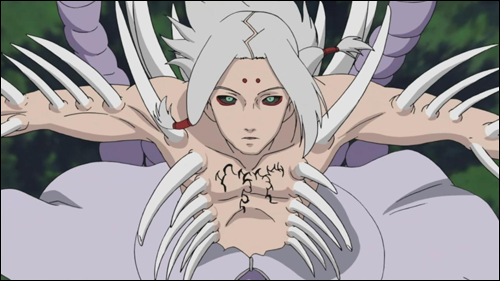 After activating their highest level of special chakra, the Kaguya quickly grows a multitude of tall spikes from their body to create a large forest of bones; this bone genesis takes place incredibly quick, and since it shares the unique bloodline trait that renders the Kaguya user’s bones as hard as steel, they will move effortlessly to strike anything in their path and render it a slashed up mush. While in this form, the Kaguya can merge into the bone trees to attack their target from whichever spike they want to, moving at frightening speeds from within their fortress of ivory. Note: Unlike the series, this bone forest will be dramatically reduced in size. Rather than an entire expansion of rolling hills, this bone forest will expand up to a maximum of twenty-five meters in all directions (this means in height, as well). The ability to merge with this forest will only be viable for five posts following the forests creation. Furthermore, this ability takes a full post of preparation (in which no other jutsu may be cast).